Noticing gum recession? It could be a result of your brushing habits. At our practice, we care about more than just your teeth—when you visit us for a regular checkup, it’s important that we examine your gums to ensure well-rounded oral health. #1: Gums should not bleed when you floss. If you don’t floss regularly, chances are you notice a little bit of blood around your gums when you do. Intermittent flossing can lead to gum disease and recession, as well as excessive plaque around your teeth. For proper oral health, we recommend flossing each day to keep your gums healthy. #2: Bad breath can be an indicator of poor gum health. Bad breath doesn’t always revolve around your last meal! In some cases, it can be indicative of your gum health. When gum disease is in the early stages of forming, bacteria can grow between your teeth and gums, leading to an infection that can contribute to bad breath. #3: Brushing too hard and too frequently can cause gum recession. One might think that the more they brush their teeth, the better their oral health is. However, this notion is wrong. Brushing too frequently can actually do damage to your gums, causing irritation and recession. Treat your gums the best by brushing every morning and night for two minutes each time. 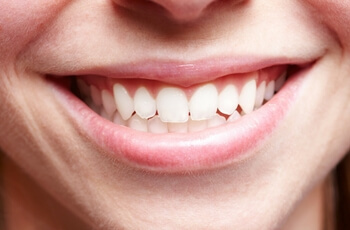 Your gums are more important than you might think! If you feel like your gum health isn’t up to par, contact our practice today to schedule an appointment. We can help get your smile back on track. « Why Is Smoking So Bad For Your Teeth?